This article originally appeared in Details Magazine. I’m including it here to archive it for future reference and because it’s hella inspiring. This is , the best article that I have read in my entire life and it will be.It relates so much (almost everything) to me.I have found solace in this. Thank You.I am speechless and cannot express my gratitude to this. I had a similar experience in high school when I didn’t make that basketball team, but on the suggestion of my Father, became a wrestler. At first I thought it was a 2nd tier sport and I only did it so that I could do ‘something’… As it turns out, that completely altered the trajectory of my life by giving me the confidence to now be a powerful leader in nearly every area of my life. I’ve found that anytime I’ve set my mind on something that challenges and scares the hell out of me, I grow. Not just a little, like Jack-and-the-Beanstalk grow. Overnight. I’ve discovered that it’s ok to be afraid, because the only time you get to prove your courage is when fear is present and you push through it. It’s not what you lift but how you lift it. Do with your body what you wish with your soul. 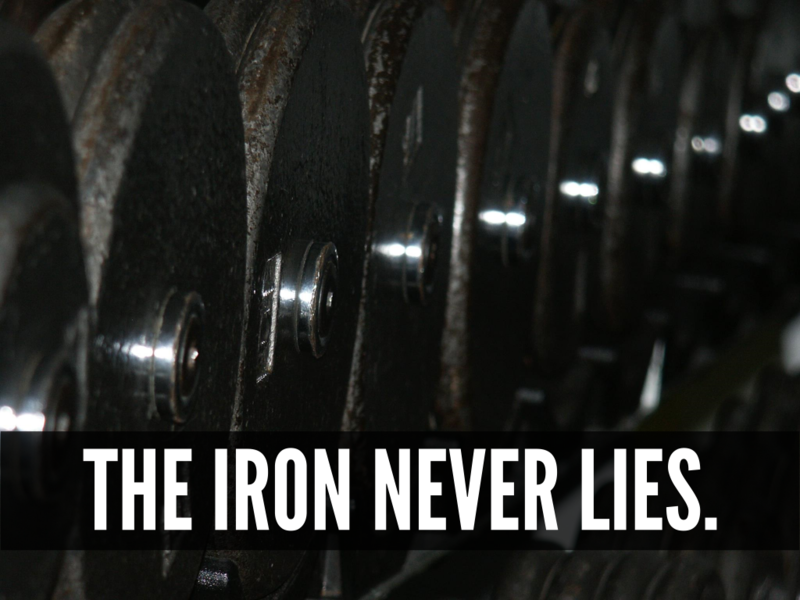 Power is within…the iron will always show you. The negative is working FOR you (it’s not just how you lift but how you bring it down). Every tear is helping you grow. No pain, no gain baby!